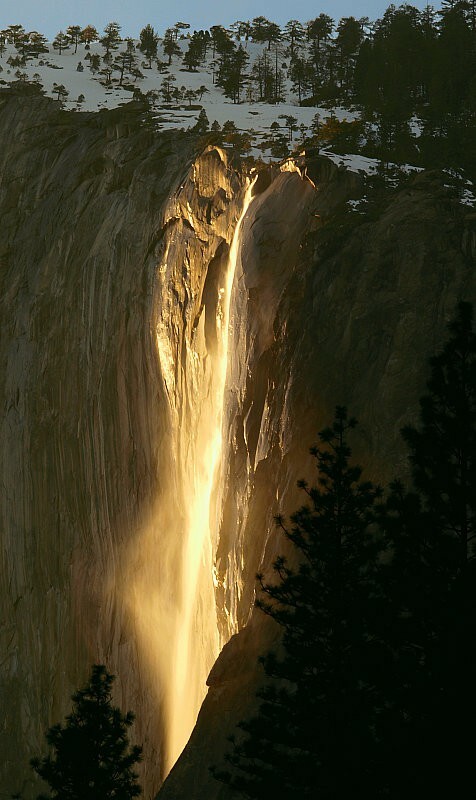 Every year for a few days in the month of February, the sun’s angle is such, that it lights up Horsetail Falls in Yosemite, as if it were on fire. The falls consists of two streams that run side by side. The eastern one drops 1,540 ft and the western one 1,570 ft.